Natural Blitz (by Dehere) will stand his fourth season at Mogumber Park in 2015. He is described by the Mogumber Park team as the the one that got away. With 6 crops of racing age and only just over 100 foals, he missed the opportunity that all stallions need early in their careers ie quality and quantity of mares. What he has been able to do from these limited opportunities is worth considering. From his 59 named foals, he has produced 21 winners (57%) from 1000m to 2400m that have early speed and develop into tough durable racehorses. 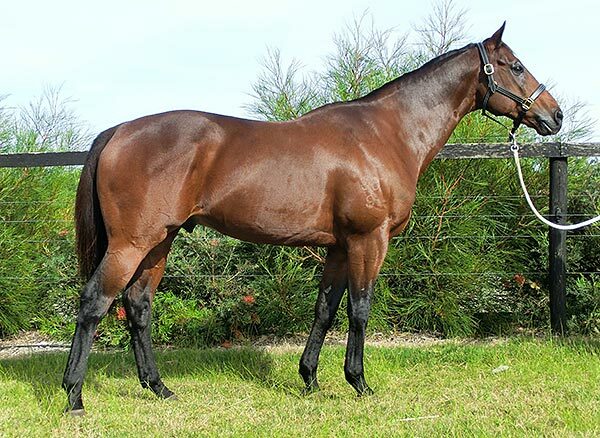 With winnings of over $1.25 million (multiple Group 2 winner and Group 1 performer), Natural Blitz was blessed with a rare combination of early speed and an exceptionally strong finish, winning on debut over 1000m. Well proven at weight for age, he was a tough and durable racehorse... a Group winner in three states of Australia. After six high class seasons of racing against the best throughout his career, he retired sound. Natural Blitz really does present a nice prospect for broodmare owners looking for a great value breed to race stallion.